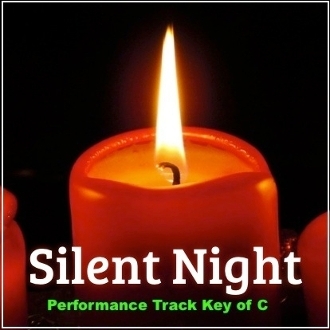 Performance Track Key of C mp3 Silent night, Holy night All is calm, all is bright Round yon virgin, mother and child Holy infant, tender and mild Sleep in heavenly peace, Sleep in heavenly peace. Silent night, Holy night Son of God, love's pure light Radiant beams from thy holy face With the dawn of redeeming grace, Jesus, Lord at thy birth Jesus, Lord at thy birth. Silent night, Holy night Shepherds quake, at the sight Glories stream from heaven above Heavenly, hosts sing Hallelujah. Christ the Savior is born, Christ the Savior is born.